You have bought a Wollmeise Advent calendar? Then you have the chance to participate in our raffle, starting today. We are looking for the most beautiful Wollmeise calendar. It does not matter if your piece hangs from a tree, ladder, fireplace, window or over the bed. He should definitely be creative. Your ideas have no limits. We are looking forward to your fancy decorations and can’t wait to announce the winners. The best three are personally selected by the Wollmeise team and get a skein of Lace (more informations follow). End of Competition is Wednesday, 10.12.2018 (announcement 12.12). Daily submissions will be shown here from Monday in a picture gallery. Do not forget, today the first Advent candle is lit. The Advent-Sundays are for relaxing. Today it’s necessary to keep some wise ;-). Sleep late is also on the list, did you do that? We do! Feels good. We also recommend today to visit the countless Christmas markets. Tip: Take a look at a smaller market, there is certainly not so much going on at the mulled wine shop bar. In addition, here we have a little video. Have fun with it! Want to create some nice stuff? - YARN HEARTS! ouh, you have a lot of wool leftovers at home? Would you like to make give-aways as a gift or something for your own decoration? Then we have something for you. Yarn hearts. Super easy, super fast and super conspicuous. There’s an old tradition on Barbara Day: Before the sun comes up you cut some branches from fruit trees – often it’s cherry tree branches – and put them in a flower vase full of water close to the fireplace or heater .It also works with other kinds of fruit-bearing shrubs as well as forsythia. Even cutting them after sunrise and your first cup of coffee will mean you have beautiful blossoms on Christmas and luck in either love or the harvest. And maybe even both? Put a little spring into your house for Christmas, at least in the European regions. There’s also a Barbara tree – bigger branches are cut and decorated like a Christmas tree. Let the tradition live on. December 6th, Ho Ho Ho, St. Nicholas is coming with Krampus. We’re not talking about Santa Claus here. In Europe, the Christ Child visits us on December 24th to celebrate Jesus’ birth. St. Nicholas was born in Turkey and must have been a very compassionate person. He had already started at the age of 19 and later became the Bishop of Myra. May we introduce the reindeer of Santa Claus. 9 in number pull his big sled to share the gifts. Rudolph with his shiny red nose is the most famous. That‘s why today‘s knits & stitches (Ravelry) knitting tutorial is available. If you need a change from your socks, grab your needles and go for it. Great as a gift and for the Christmas decoration. Make your own Rudolph! Supplement: Unfortunately, there were complications with the knitting instruction. We apologize for that. Here we have an alternative for you. Separate eggs. Stir egg yolks with sugar until frothy. Beat egg whites with a pinch of salt. Allow liquid butter to cool and stir slowly into the egg mixture. Mix grated chocolate, almonds, starch and cocoa and add them. Finally, stir in the whipped egg whites. Put the mass in a buttered ring and bake at 160 degrees for about 45 minutes. Good morning you hard-working knitting-lovers. A week can go so fast. Today the second candle is lit. 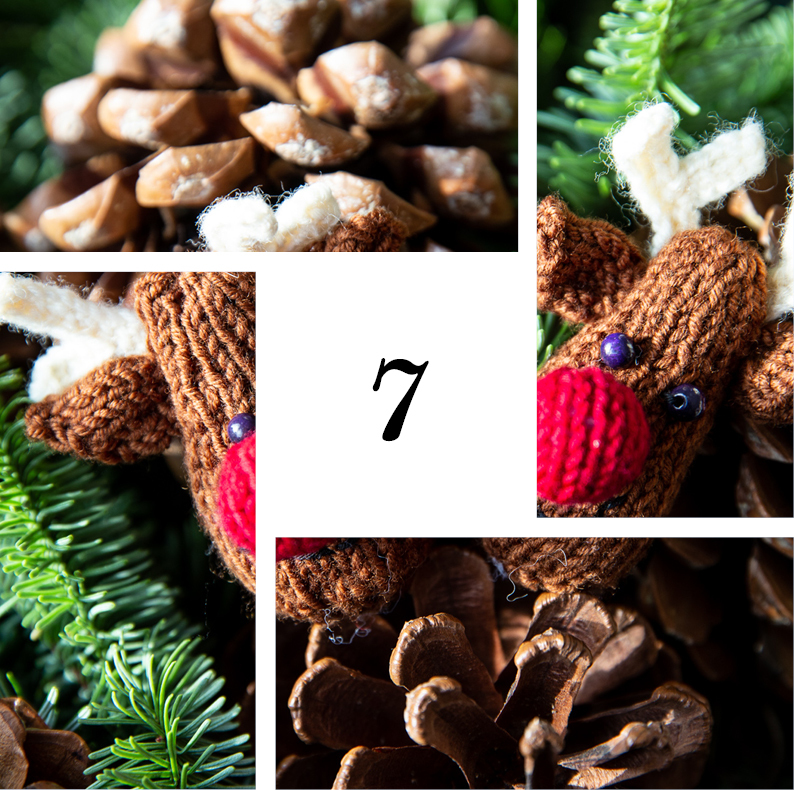 In addition to sleeping in and visiting the Christmas market, you can now spend a craft day, how about the reindeer of day 7? ;-) Do you already have Christmas presents? Today is a great day to make a list of gifts. You still have time, but do not delay it. The sooner the better. Our weekly Advent treat - Peanuts- Old but gold! Reminder: Today is the closing date of our raffle from day one. Unfortunately, there were complications with the knitting instruction. We apologize for that. Here we have an alternative for you. Note: In the next few days we have two more knitting instructions for you. Today we want to show you how to stitch your own postcards. No reinvention, but well worth seeing and makes every recipient‘s heart beat faster. How easy that really works, you see in our video. Heat the sugar, butter and maple syrup. Stir in flour, almonds, lemon zest and rose water. Leave to cool, then form small balls the size of hazelnuts. Place 6 balls per baking tray - (they will run and spread out) and bake at 175°C. While still warm form into nests with the aid of a spoon. Today is the day, the winners of our „Who has the most beautiful Advent calendar“ raffle were selected. 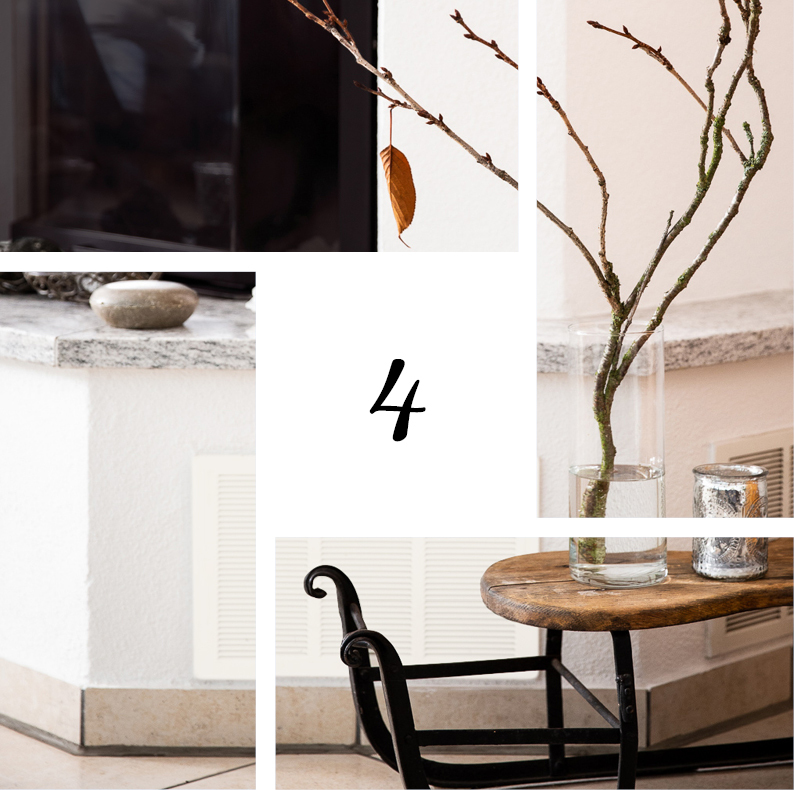 You still have the opportunity throughout the Advent to view our gallery on Day 1. But now it‘s time for the award ceremony. Of course we are grateful for every single submission. So many decoration ideas. We are happy that so many diligent Wollmeisen have participated and hope everyone feels just huged by us. The winners can look forward to an online available skein in Lace. Our chosen ones are Maren B. from Greifswald, Eva-Kristin S. from Rossdorf and Miriam S. from Mülheim. The winners have already been notified. Thank you! If Lucia doesn’t come to visit, you can easily celebrate your own Lucia Day by lighting candles that spread a warm light through your apartment. The perfect day to taste the first cookies in this cozy atmosphere. Try our Recipe from day 11! Wash orange and slice with peel. Peel tangerine and remove segments. Put all the ingredients in a pot. Spices into a fabric bag or skim off before consumption. Heat for 10 minutes, do not boil. Divide into glasses and enjoy hot. Beware, makes you tipsy! Who comes out of his hole? The wool mouse Winifred is rarely seen. Quiet she sneaks through the room and follows the smell of Christmas cookies. If the biscuits are stowed in cans, then, but only then, you’ll get the chance to see Wollmaus Winifred in the act. This small project was realized by Ravelry member “Wichtelin”. Thank you very much. Winifred is happy to be given away. Click here for instructions. Rachel Borello Carroll (Ravelry) sends greetings. Advent, Advent, three candles lit ... and schwupp, another week is over. Only a week left to get presents. I hope you have already done that? Because then you are allowed to relax today. 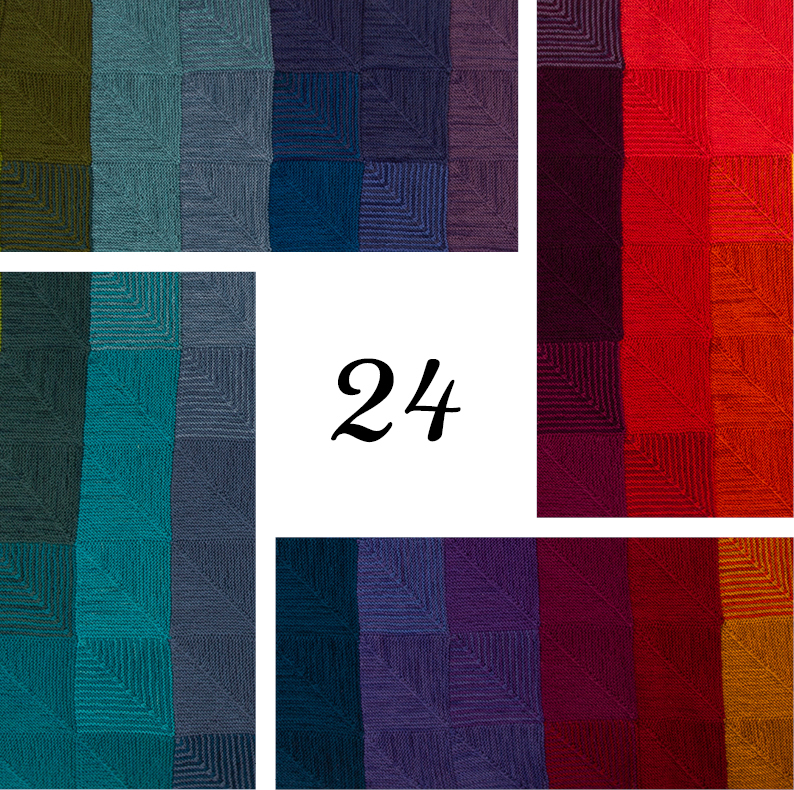 Try the Christmas punch of day 14, sit on the couch, start the music and just start knitting. How about a new headband? No matter what, today should be stress-free. Also today is Åsa Tricosa day. 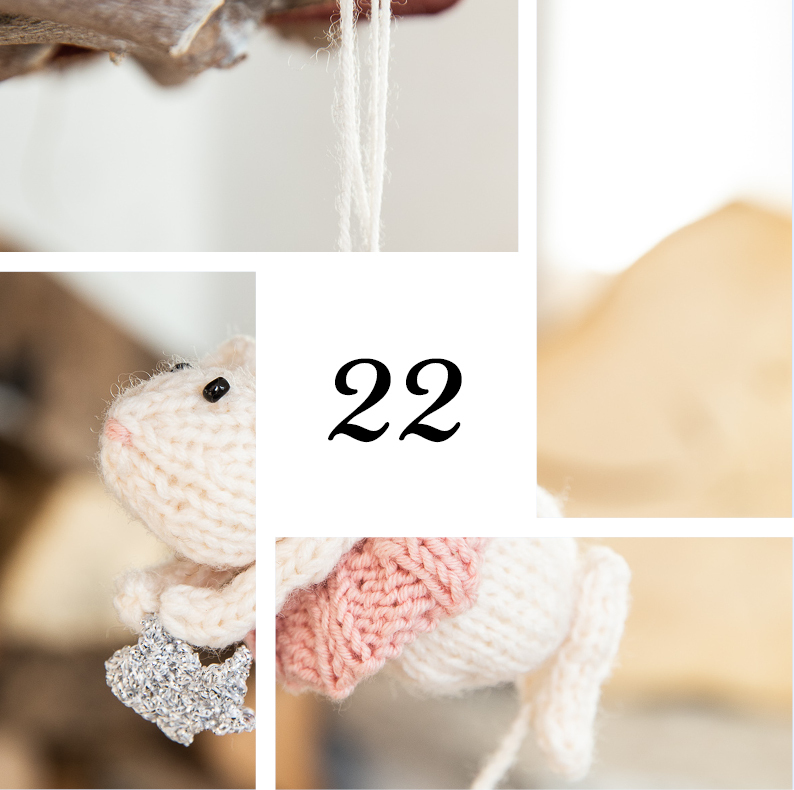 Today you can get a great special from Åsa Tricosa in our advent calendar. The Swedish knitting designer loves the Christmas season. But most of all, she loves the Christmas Oratorio by Johann Sebastian Bach. This answer gave us Åsa Tricosa to the question how much she likes this piece of music „You can tell the people that we have to ration (limit) the playing of it in our house because otherwise I play it ALL the time… and maybe there would be a divorce… ;0”. Dear Åsa, headphones might be a great idea. 😉 You have such a lovely man! We take this with humor and recommend you another master-piece! NIBBLEDYDEE, NIBBLEDYDAY, WHO'S NIBBLING AT MY HOUSE TODAY? The wind, the wind, the heavenly friend. The popular Christmas fairy tale of the Brothers Grimm is probably also known for its gingerbread house made of gingerbread and sweets, from which Hansel and Gretel eat. In many places these "gingerbread houses" are baked, assembled, decorated - and, of course, nibbled. We have for you a great guide for a homemade gingerbread house. You can not eat this, but this lasts for years and is a real eye-catcher. How? Knitted! Here's the solution, by Franky Brown (Ravelry). Heat milk in a pot. If the milk is warm, stir in the semolina with a whisk. Add sugar and keep it on low heat and wait until the semolina absorbs the liquid. Stir in the chocolate until it has melted. Divide semolina into jars or bowls. Bring raspberries to a boil in a saucepan and pour hot on the semolina pudding. Allow to cool briefly and enjoy while hot. More delicious Food-Photos you can see from doyoufeelhungry on Instagram. Mix flour, hazelnuts, sugar and vanilla sugar in a bowl. Add butter in small flakes. Knead everything first with dough hook, then with your hands to a smooth dough. Cover for 1 hour refrigerate. Preheat the oven to 180 degrees. Briefly knead the dough again and roll out to a little flour about 2 mm thin. Use a cookie cutter to cut small shapes out of it. Cut out a hole in half of the cookies from the middle with a round cookie cutter. Place all cookies on baking sheets lined with baking paper. Bake in oven for about 8 minutes until the cookies are lightly golden baked. Remove and allow to cool on a wire rack. Heat jelly briefly in a pot and sprinkle cookies with no hole in the middle. Lightly press on counterpart with hole on top and dust with icing sugar. The 21st is the longest night of the year. Once this date has passed, the days start getting longer. It is also when the 12 “Rauhnächte” (demon nights) start. I was always afraid of these nights as a child because it was said that ghosts were afoot. No laundry was to be washed during this time (really) and my mother kept to this strictly. We didn’t celebrate it at our house, but at the farms they fed their animals with consecrated bread and salt on the night of the 21st. These days, this time of year just means “be peaceful” to me, to not chase after the normal day-to-day craziness. And that is good, we should all take inspiration from this. For the Teutons, the Rauhnächte was a special, holy time. They used the time for family, for celebration and oracle. In house and yard was extensively smoked to protect humans and animals, belongings and to drive out demons. Here is a guide for homemade incense sticks. Have fun, it works, they just have to be really dry. Fabienne likes glitter, Fabienne likes pink and Fabienne can fly. She’s a rare one and a real master-piece. She loves to spend her time in the warm Christmas tree. She shares the place with bauble, straw star and Co., because that‘s where she‘s best admired. Kids will love it, Cat owners should hide her high up in the tree. ;-) Do you want a Fabienne, too? The instructions you can find here. Our mouse was knitted by ravelry user „Wichtelin“. Thank you! Advent, Advent, the Advent wreath is burning. No, so far it should not come please. ;-) Today the fourth and last candle is lit. You know what that means. Unfortunately, you have no time for relaxing. Tomorrow is busy and it’s for celebrating. But if you want to have less stress, we give you beautiful Christmas music on the way. Speaker on! Everything is much more fun with music. … of this Advent journey we are on together. I hope it wasn’t just a “normal” Advent calendar for you. Hopefully you were able to truly appreciate and enjoy this “quiet time”. What we want for Christmas this year is world peace, as always, and all days that are worthy of being celebrated should become official holidays. Happy Christmas with all your loved ones and Merry Christmas all over the world!